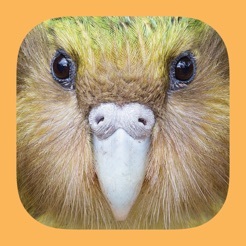 The Birds of New Zealand app is an interactive version of the newly released Birds of New Zealand: A Photographic Guide by Paul Scofield and Brent Stephenson. This application has specific features that will enhance your birding experience. ● Universal app – the app will automatically take advantage of the larger screen when installed on an iPad. ● More than 1000 images covering over 360 bird species found in the region including distribution maps. 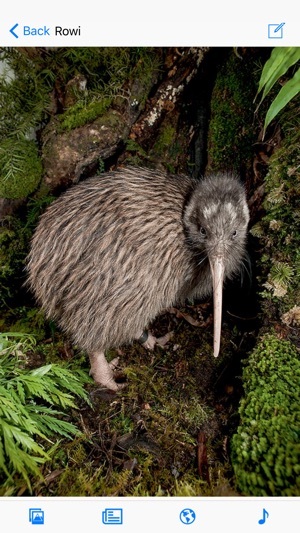 ● Detailed and informative text covering identification, behaviour, bird calls, distribution and conservation status of the birds found in New Zealand. 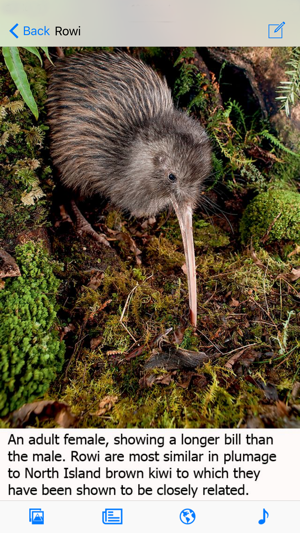 ● Audio of multiple bird calls for most species. 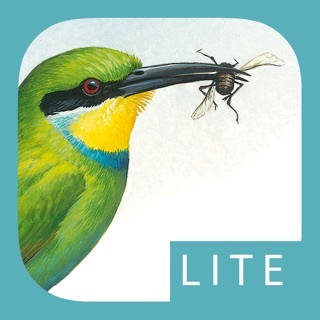 ● A “Smart Search” that allows you to easily identify a bird using bird type, size, colour, physical features and habitat. 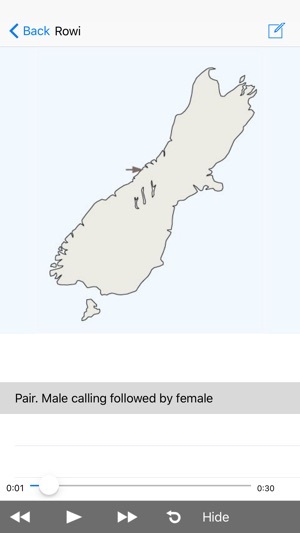 ● You can select a region of New Zealand, so that the lists of birds throughout the app display only the birds in that region. 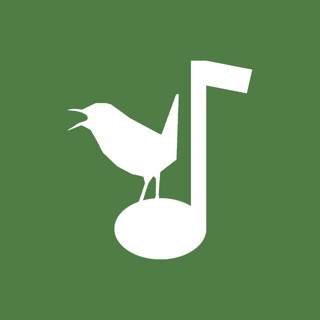 ● “Bird Compare” that allows you to compare two birds on the same screen (including calls). 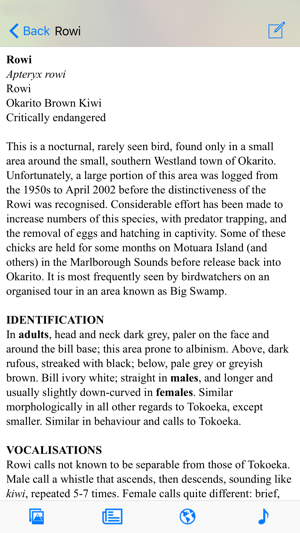 ● A personal bird list that stores your bird sightings saved to the device and can be exported via email. 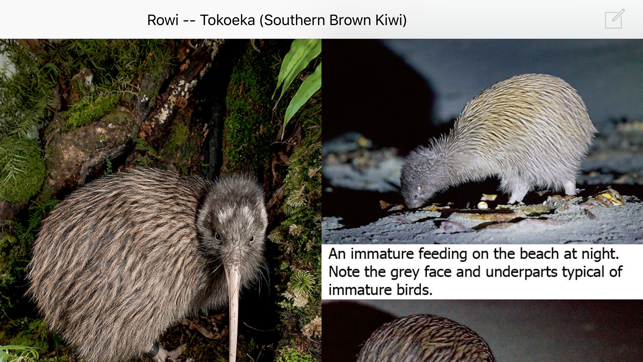 ● View the Bird Index in New Zealand Common Names, Maori Names, IOC Names or Scientific Names. NB. This application WILL ONLY work on an iPhone, iPod Touch and iPad running iOS V6.1 or higher NOT A NORMAL IPOD CLASSIC/NANO. I got this app after having bought the book (in retrospect, the app on my phone + iPad was more than sufficient). Very easy to use and stable. Location-specific filtering helped me both with IDs and with planning my trip. Calls and songs proved very useful as well. 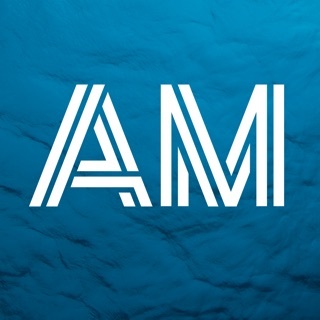 Thanks for the awesome app/bird reference!